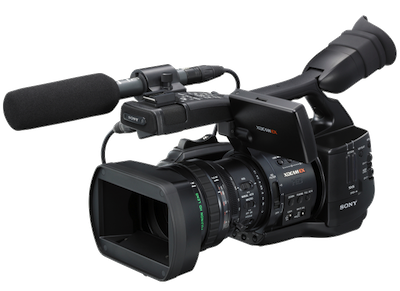 The Sony PMW-EX1 weighs 6lbs (12″ x 7″ x 7″) and is a versatile high-definition camera for any shooting situation. With a fixed 14x optical zoom and a 3-chip 1/2″ CMOS sensor, the EX1 captures 1920×1080 resolution video to SxS memory cards. It can also shoot up to 60fps at 1280×720 resolution.